There is lack of studies that explore the role of epilepsy surgery in the treatment of drug-refractory antibody-associated autoimmune encephalitis and epilepsies. Some case reports and series suggest that surgical treatment may still be an option, but compared with other etiologies, its surgical outcome seems to be less favorable. 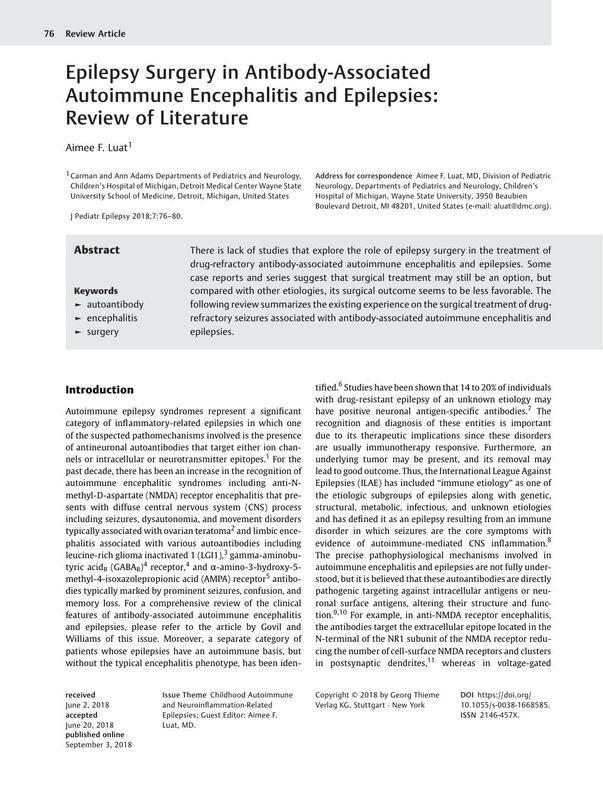 The following review summarizes the existing experience on the surgical treatment of drug-refractory seizures associated with antibody-associated autoimmune encephalitis and epilepsies.